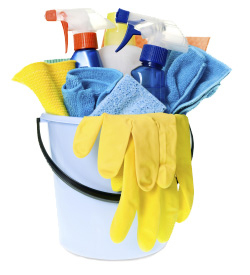 Household products in your home, garage, or shed can be a poisoning waiting to happen. While these products are not harmful if used properly, they can be dangerous if used in the wrong way, by the wrong person, or in the wrong amount. Young children are often attracted to household products because they are colorful and resemble products they like to drink. Keep household products out of reach of children—store them up high in a locked cabinet. Children also like to mimic adults’ behavior. If they see you using a product, they might be curious, too. Talk to your children about not touching, tasting, or smelling anything unless a trusted adult says it’s ok. If you or someone you know comes in contact with one of these products or another chemical, cleaner, or household product, call Carolinas Poison Center at 1-800-222-1222. In many cases, our nurses and pharmacists can give you treatment recommendations to keep you at home.